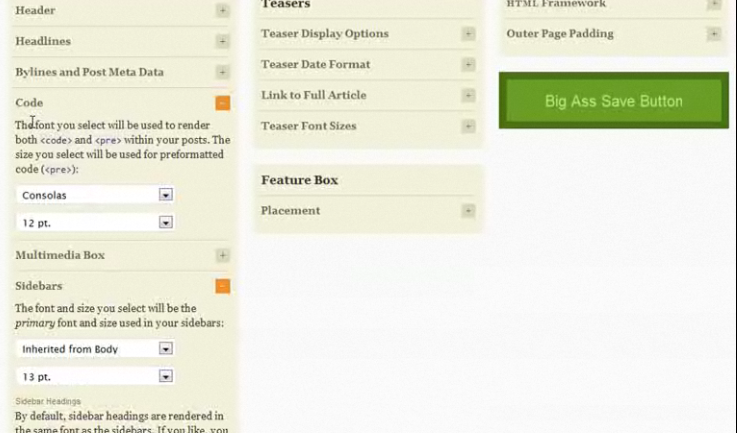 June 10th in Premium Themes, Themes for Pro Bloggers by Wordpress Jedi . A lot of folks are starting their own blogs these days and technology is a hot topic to talk about on a blog. Whether you are getting started with blogging or want to build a solid business around your blog, you need a solid theme to help your work look professional and presentable to potential sponsors and partners. If you want to be a technology blogger and don’t want to spend thousands of dollars on a WP theme, you should try premium WP themes out. You can easily customize them and save a lot of money in the process. 1. 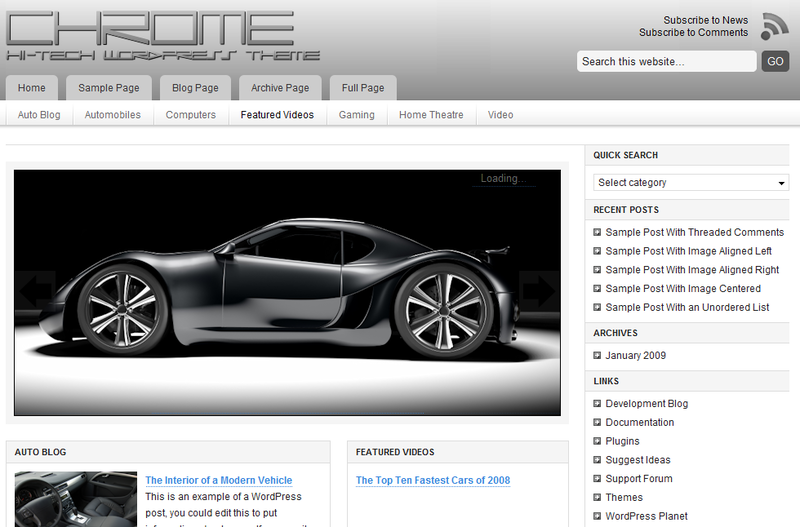 Chrome WordPress Theme: an awesome looking theme for technology bloggers that is highly customizable and SEO friendly. It also comes integrated with video (YouTube, …). 2. One Theme: an all in one solution designed for all types of bloggers. Whatever your niche, there is a good chance you can use One Theme to create a killer website. 3. 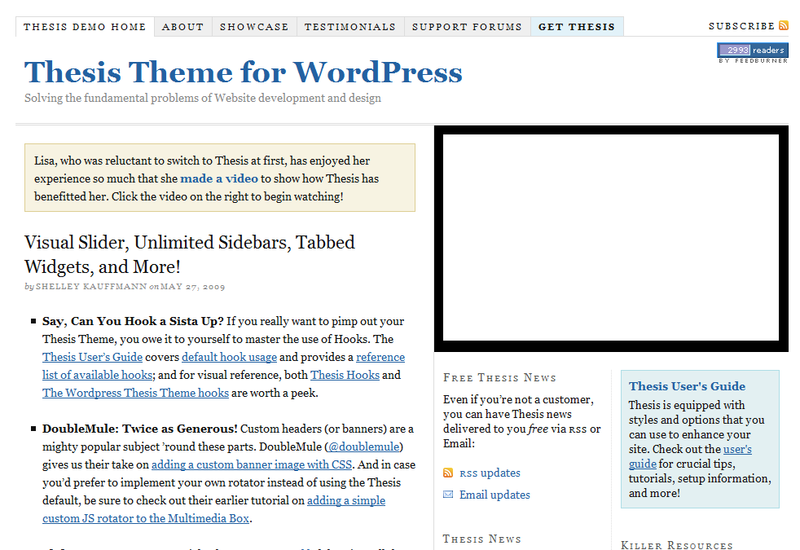 Thesis: the legendary WordPress theme that is used by a lot of super-bloggers and personalities from around the globe. Perhaps the most powerful theme available for WordPress today. 4. Arthemia: an attractive and flexible theme for technology portals. Great theme to start and manage your technology blog more effectively. 5. Busy Bee: designed for pro bloggers, you get 13 color schemes and a clean theme that is perfect for writing about technology. June 8th in Premium Themes, Themes for Pro Bloggers by Wordpress Jedi . Creating a personal blog couldn’t be easier these days. You don’t have to be a technical genius or have an Einstein-like IQ to set up a blog fast. WordPress makes it super easy to set up a website fast. Thanks to themes such as myweblog, you don’t have to spend thousands getting a custom design for your blog. You can get a well-designed, highly flexible design for an affordable price. myweblog is highly attractive WordPress design that makes it easy to build a real community with your WordPress blog. Whatever topic you are into, you can use the integrated LifeStream info on your sidebar to let others know about your online activities. You can also change the look and feel of your design easily to make it look unique. myweblog comes with an image re-sizer that makes it easy to add all kinds of images to your blog. 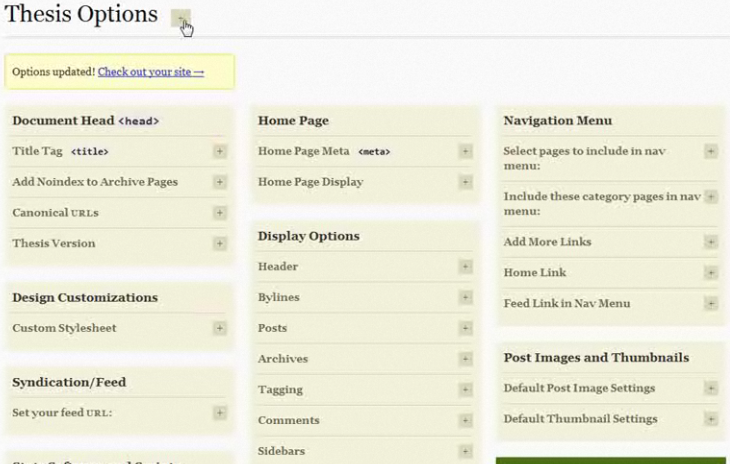 You also get to create sticky posts on your featured section. You do get 5 color schemes to choose from, making it too easy to customize the look and feel of your website fast. 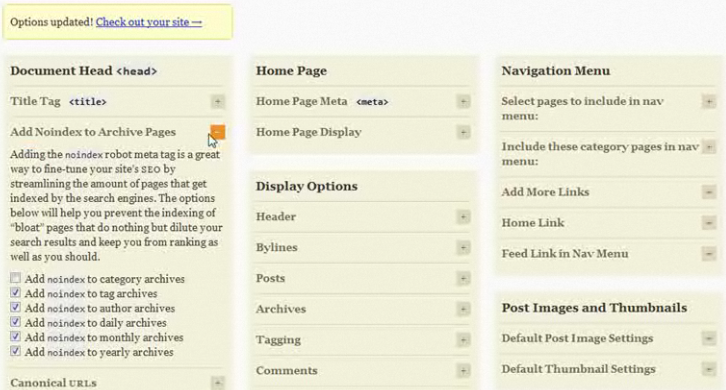 The color coded categories at the top make the site more user-friendly. Flickr is integrated as well, enabling you to add your favorite photos to your blog quickly. The categories at the top are all drop-downs, making it possible to add a whole lot of categories. The search function is in a prominent place to let your readers find content on your blog without too much trouble. myweblog by WooThemes is another good option to consider for everyone who’s looking to create or enhance her/his personal WP blog. It’s easy to use, user-friendly, and highly customizable. It’s not that expensive either. June 1st in Premium Themes, Themes for Pro Bloggers by Wordpress Jedi . 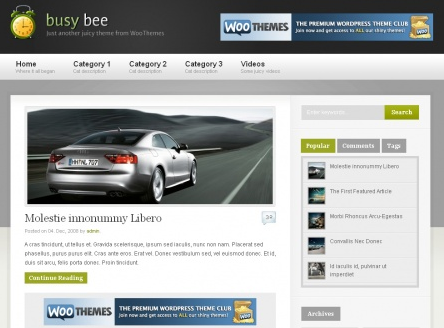 Thesis is one of the most popular WordPress themes around. It has everything you need in a theme to create a super blog fast. It’s highly flexible and SEO friendly. And best of all, it comes with a load of options in the backend that you can use to customize your blog and optimize it as you wish. Thesis 1.5 is the latest update to this theme. The backend has been reorganized to help you get more done without getting confused with all the options available to you. A few more SEO options have been added to help you manage your link juice and other factors more effectively. As you can see in the above diagram, you can now handle canonical URLs and even no-index your archive pages right from your backend. The navigational menu has been changed well to help you re-order pages and change the text to what you wish. The re-ordering features is a drag and drop feature. You can also change the font and change the look and feel more easily on Thesis 1.5. Whether you want to change the font of a section of your blog or just add a teaser, you can do it all in the back-end. It doesn’t take a genius to figure out Thesis is a unique theme. It’s designed to help you focus more on your content and less on coding. And best of all, you’ll keep getting free SEO traffic with Thesis. Here is what I like about thesis. These guys are not trying to short-change you by offering you multiple packages without giving you the option to upgrade. You can always get a single license for $87. If you like what you see and are ready to upgrade to a developer license, you only pay an extra $77. Or you can just buy the developer edition from the get go for $164. What I like about the developer edition is the fact that it allows you to deploy Thesis on your clients’ sites for only $40 per site. That’s great news if you are a WordPress consultant. And if you don’t feel like linking back to Thesis’ homepage, you can remove the footer link as long as you get the developer license. Overall, Thesis 1.5 is a killer WordPress theme that is designed for bloggers who are looking to get more out of their blogs. It’s easy to use, well-designed, and SEO friendly. If you have the budget for only one premium blogging theme, Thesis is one to consider. May 4th in Premium Themes, Themes for Pro Bloggers by Wordpress Jedi . A few of my blogging colleagues have asked me a few times about a WordPress theme that would allow them to create their own ProBlogger copycat. Problogger.com uses a very attractive, custom-designed theme, which means you are not going to find anything like it on the market. But there are a few themes that come close. Money Blogger by BlogOhBlog comes closest to anything I have seen on the market. It not only has an attractive design, it’s highly customizable as well. Money Blogger is a theme created for super bloggers. It has everything you would expect in a pro-blogging theme. You get your RSS and subscription box right at the top of the page. You have your links lined up at the top of the page. The logo can be changed easily in the code. You also get an about me section that you should use to communicate with your readers on the reasons they should be reading your material. Blog monetization is very easy with Money Blogger. You’ve got two options for your ads. You can use the left sidebar to display your 125*125 ads. Another way to go is by putting your vertical ads on your right sidebar. If you need more space for ads, you can put a 468 * 60 banner under your content tabs (which are CSS based and highly customizable as well). The code is clean and easy to customize. The guys at BlogOhBlog have create a modular theme in Money Blogger that can be easily customized without too much effort. Overall, if you want to start your very own problogging theme, Money Blogger is an affordable way to get started right away. January 8th in Free Themes, Premium Themes, Themes for Pro Bloggers by Wordpress Jedi . Pro blogging WordPress themes are very dear to my heart. There are so many of them out there. But if you look at most of them, they are light themes. By that I mean you can expect to see a white background with most pro blogging theme. I personally like these themes as they are easier to read. Besides, I find dark themes depressing. But Revolution Elements is one dark theme that I can’t stop looking at. I am not very design savvy. In fact, I can’t even tell the difference between most colors (a bit color-blind you could say), but Revolution theme is the only theme that I can actually read its content (with its dark background). Most dark themes don’t get this concept right. Folks NEED to be able to read the stuff for a theme to be a success. 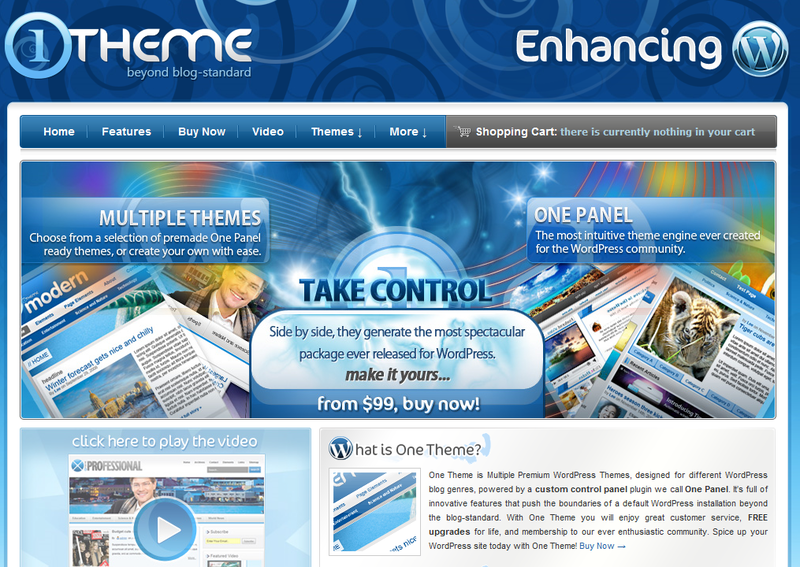 With Elements, not only you get a very readable theme, but it is very easy to navigate as well. You get 4 125*125 banner spots that you can use to monetize your blog. You also get a footer advertisement spot which allows you to put small little ads on your footer. 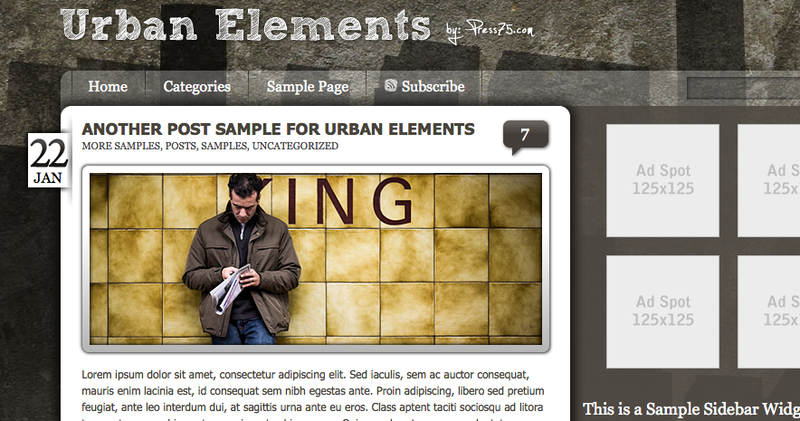 Elements is a very SEO friendly theme that can be used to create very attractive blogs. One thing that I would like to see with this theme is the actual PSD files. I love theme sellers who provide you with EVERY file that you need to be able to customize your WordPress themes. Having said that, Revolution 2 allows you to sign up for their support service and get their help with your customization process. Either way, I would give this theme an A-, which is more than I have ever given to a dark theme. Don’t take my word for it though. Check it out for yourself. January 6th in Premium Themes, Themes for Pro Bloggers by Wordpress Jedi . I have talked a lot about niche themes on WP Jedi. But one thing that I have probably not talked about is the mother of all niches – blogging. You have probably seen it by now. There are many folks around us who make decent living from teaching other how to blog or make money with blogging. I personally have no trouble with that as long as these guys actually make money from blogging before they started getting yours and my money. But the truth is, many folks get into the blogging niche without actually making the millions first, and I don’t have a problem with that either. Pro blogging is a very hot niche these days, especially with the economy breaking down. Who wouldn’t want to be able to make a decent amount of money without the hassles of dressing up and going to work everyday? 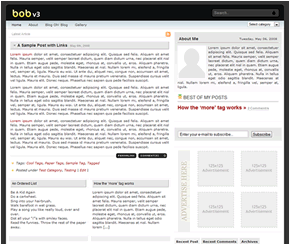 Bob v3 is one theme that is just made for pro bloggers. As the name indicates, there are three version of this theme. The theme has evolved through the past couple of upgrades, and is now one SEO power house for pro bloggers. Bob v3 comes with the one feature that every pro blogger needs – “my favorite posts.” You get to promote posts that are the most popular on your blog. I also like the fact that you have an “about me” section to promote and sell your background. The tabbed content is very useful. The content Ajaxified slider is “cool,” and you can use the tab feature to save real estate and show your readers more things. One thing I would change about this theme is the advertisement section. I believe it’s too low on the page, and I have not had success with my ads on that spot. It may work for you, but I am personally biased there. 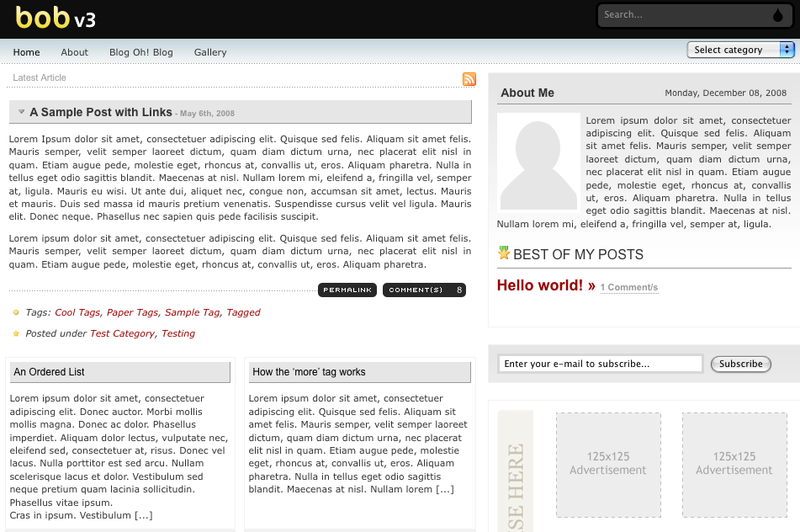 Overall, Bob v3 is a very contemporary looking pro blogging theme. It’s very easy to navigate, and it’s easy on eyes. 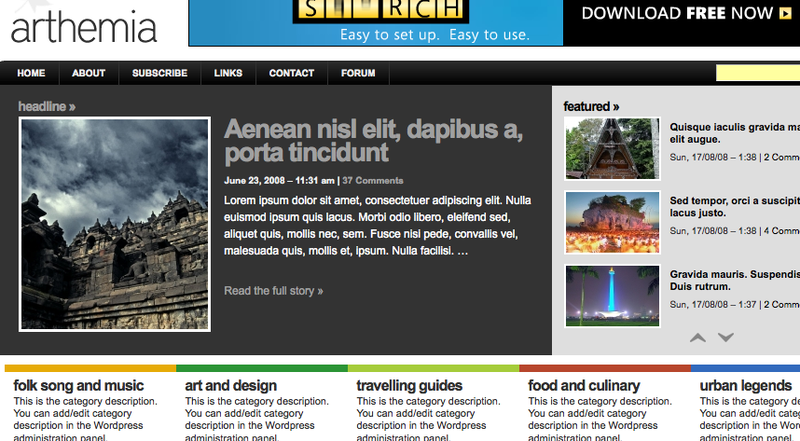 With a bit of modification, you can have your very own super blogging theme. One thing I would say is Bob v3 is a theme for serious bloggers. It is not a cheap theme as it comes with many premium features, so if you are not planning to have a serious blog, you should probably look at free theme. Good luck.